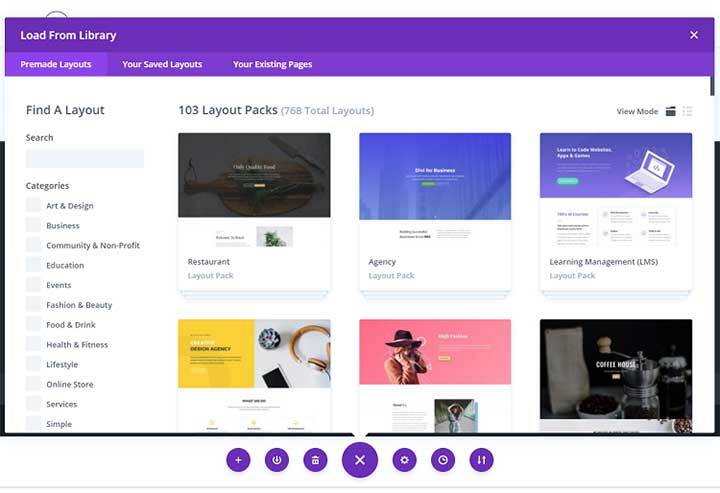 Divi WordPress Theme Review - How Good or Bad is this Theme in 2019? 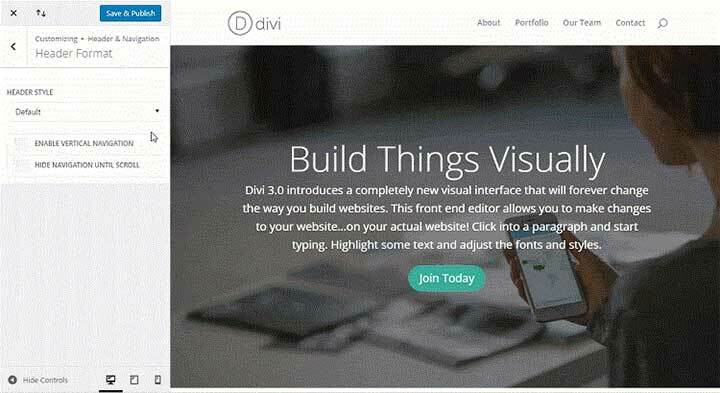 Divi Theme Review – A Complete Review of its Features and How to Use it Efficiently? 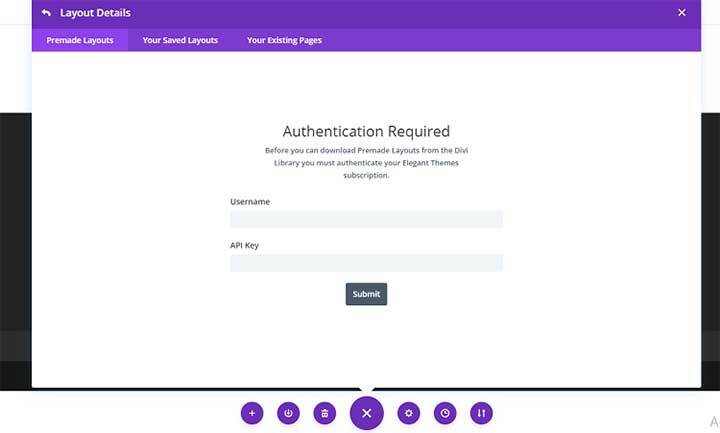 If you have been working with WordPress for some time now, Divi WordPress Theme surely sounds like a familiar name. And if not, let me brief you a little about the theme. It is one of the most powerful and visually stunning, multipurpose WordPress themes, that can get the perfect look for your website. 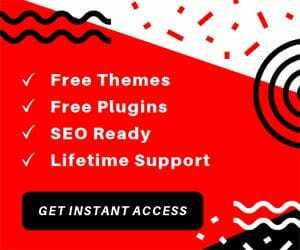 Packed with a range of robust features, this theme is compatible with all modern browsers and with the latest versions of WordPress. You will be stunned by the flexibility it offers in terms of the customization. Every bit of the website can be touched upon to get the best look that your website deserves. 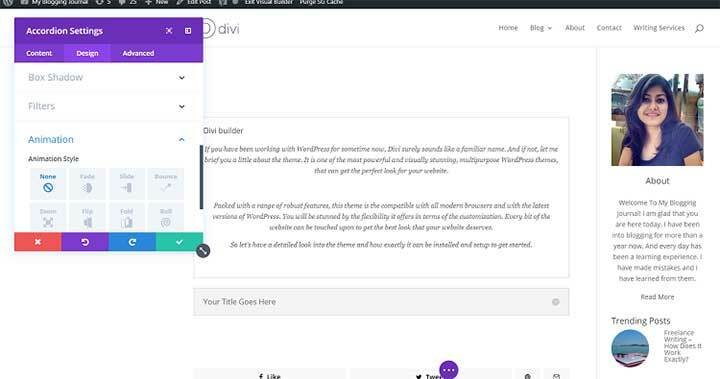 So let’s have a detailed look into the Divi theme review and how exactly it can be installed and setup to get started. 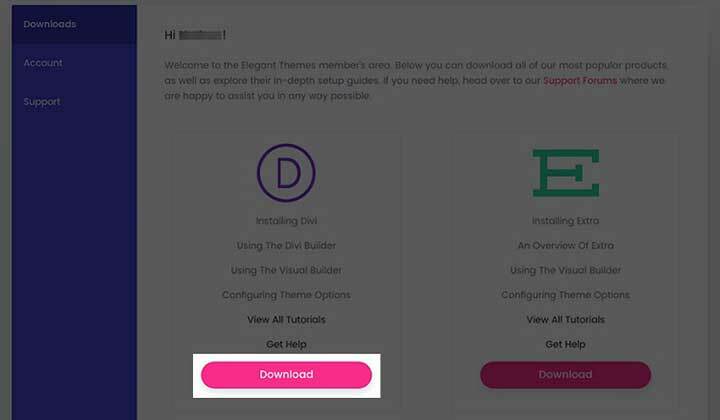 How to Install Divi WordPress Theme? How to Design Your Page With Pre-Built Layouts? 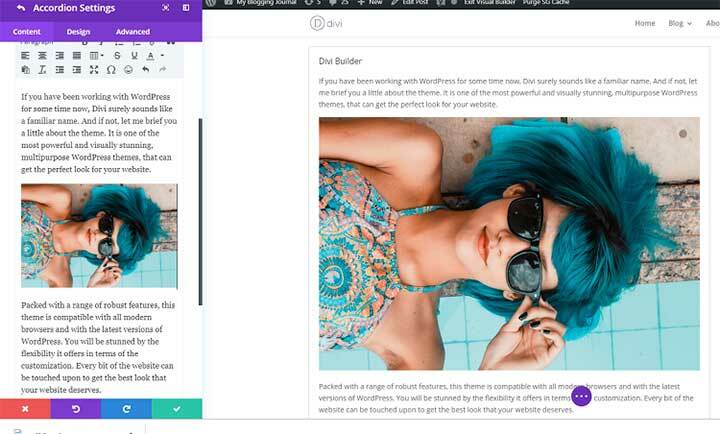 As mentioned before, Divi is one of the most modern and advanced WordPress themes that has been jam-packed with great features. Let’s highlight some of the key features for you. And a lot more. Overall this list is extensively huge so you will definitely love it with all its flexibility. Let’s check out how to use Divi on your website. Installing and setting up Divi is the easiest thing to do. First, start by creating your account with the Elegant Themes. Once you are in the account you can get the theme downloaded by clicking on the Download button. You will now have a zipped folder of the theme. 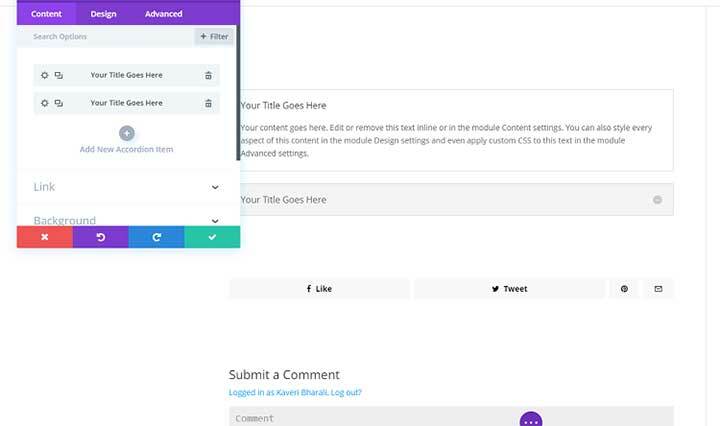 Go to your WordPress dashboard -> Appearance -> Themes. Now click on the Add New button on the top of your website. You will now have the option to upload your zipped folder. Once done, your theme will appear on your screen. Now click on the theme and select the activate button to get started. 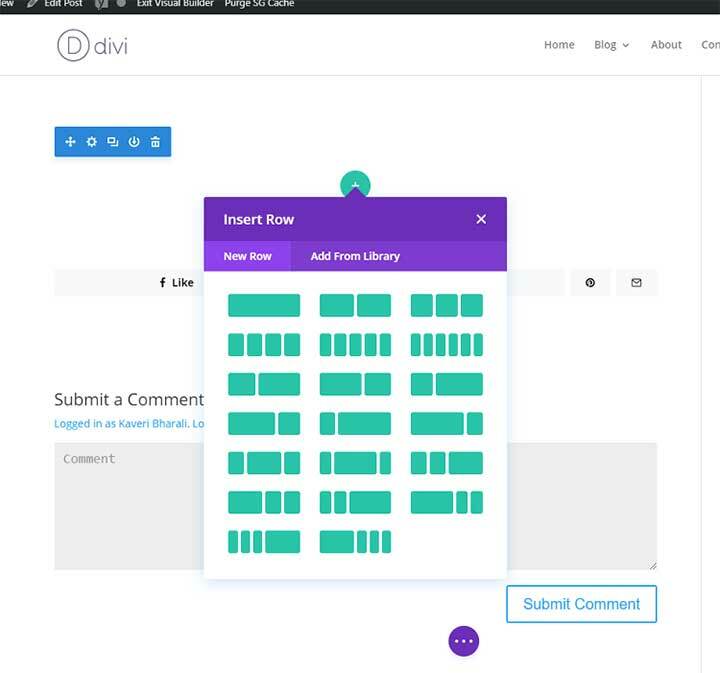 Now that you have your theme installed you will see the Divi options reflecting on your dashboard. Here you will see 8 different tabs on your screen. General, Navigation, Builder, Layout, Ads, SEO, Integration, and Updates. In the General tab, you can upload a logo, enable or disable navigation bar, pick colors, add your Google API key etc. By uploading your logo you can make it appear on the header of your site’s pages. The favicon will appear on the browser tab of your site. Both of these are essential for your brand identity. By enabling the fixed navigation bar, you can let the bar remain constantly be on the top of the page even when you are scrolling down. The next option is to enable the Divi gallery. By selecting this option you can replace your default WordPress gallery with the one that comes with Divi. There is also an option to choose your color schemes in this tab. 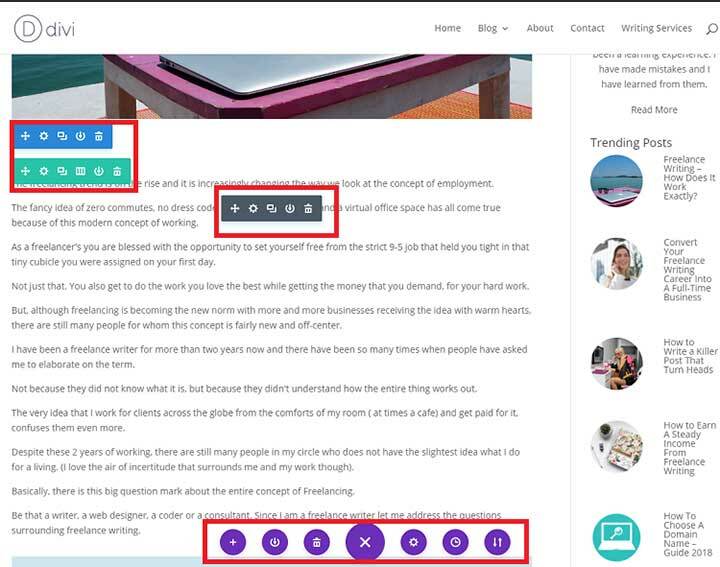 You can pick a color of your choice here and then continue using them as you build your pages and posts. 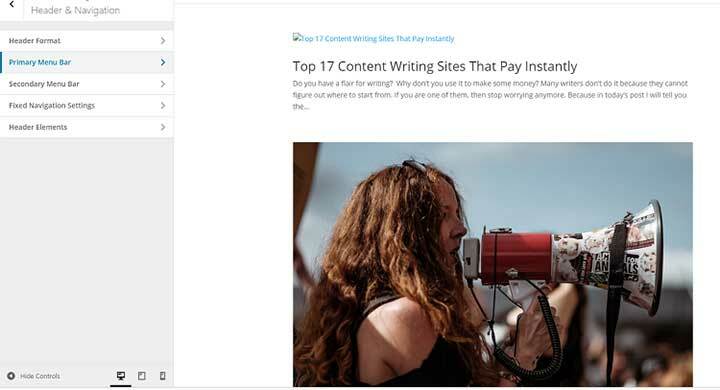 Blog style features can be activated to display your full page posts as it gets indexed. 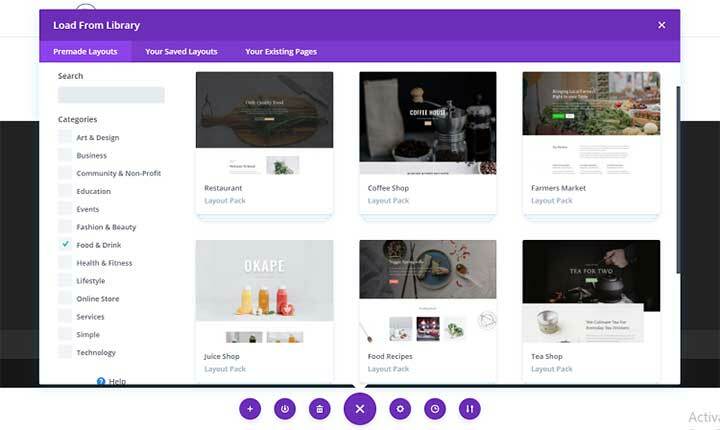 If your site is also your online store, you have the option of choosing your shop page layout in the Shop Page & Category Page Layout for WooCommerce option. Not just this. You have more options to control how your site works. You can define the number of posts to display, show your social media links on your site, add smooth scrolling and a more. Just go to each of these tabs and enable or disable them according to your requirements. In the navigation tab, you get to make changes to the settings for navigating your pages. You will have three different tabs under this option. In the first option, you will see all the pages on your website appear under this tab. If you want to display them in your navigation keep them unchecked. Otherwise just check the boxes next to the pages you want to hide. The next option is to show the dropdown menus. You can choose to remove the dropdown menus from your pages navigation bar by disabling this option. The theme also has a link to go to your homepage. This is created automatically by default. You can disable this option if you already have a homepage. Otherwise, the link will be duplicated. Just like the 1st option in the previous tab, you can check or uncheck the exclude category from the navigation bar. In the following options, you can show the dropdown options, hide empty categories, control the number of drop downs menus in your pages etc. Just enable or disable it according to your requirements. Here you will have two options. By enabling the 1st option you allow your site to have a parent category, under which there can be any number of child category links. The second option is the Alternative Scroll To Anchor Method. By enabling this option you can have an alternative method for scrolling to the anchors. After the navigation, the next tab offers you the option to make changes to your website layout. Under this option, you will again have three different tabs. One for the Single page layout, one for single post layout and one for the general settings. Here you can select the options to be displayed under a particular post. Like author name, category, date, comments etc. Here you can enable or disable the option to place thumbnails and comments on your pages. In the last one, you can have control over the thumbnails on indexed pages and the post information like author, comments etc. 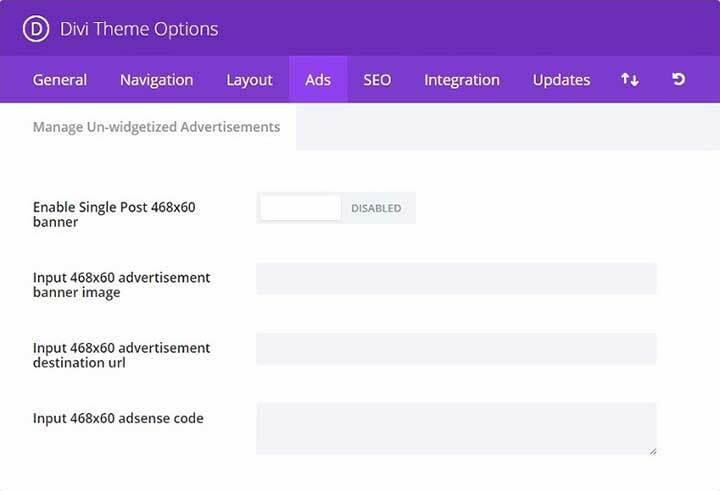 The next tab allows you to set the settings for your ads. In this tab, you can add the AdSense code, ad destination URL, banner image size etc. The SEO tab again has three tabs. Homepage SEO, Single Page post SEO and Index Page SEO. 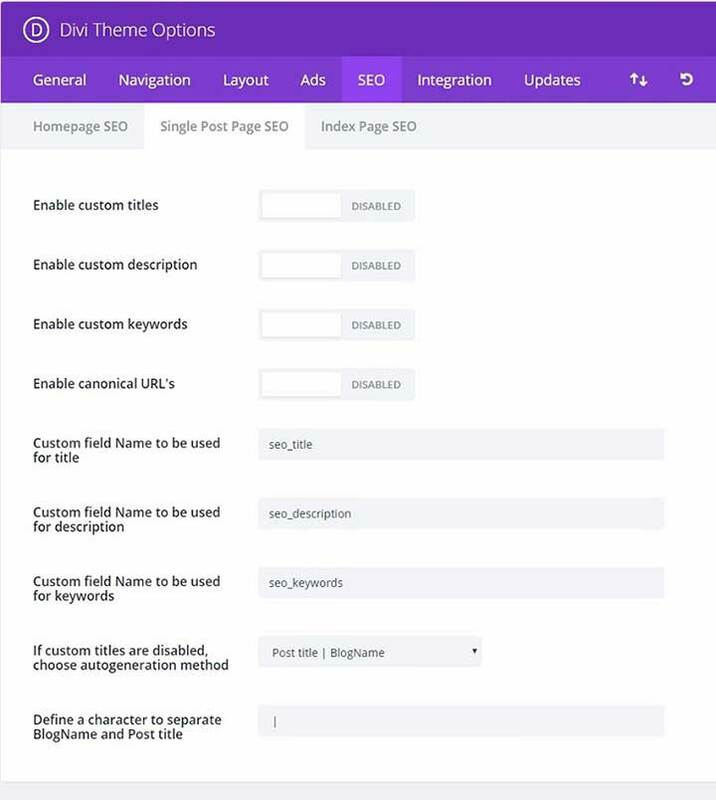 Under the Homepage SEO section, you can enable your custom keywords, custom description, titles, canonical URLs etc. By enabling canonical URLs you can prevent duplicate indexing of your pages and posts by Google. 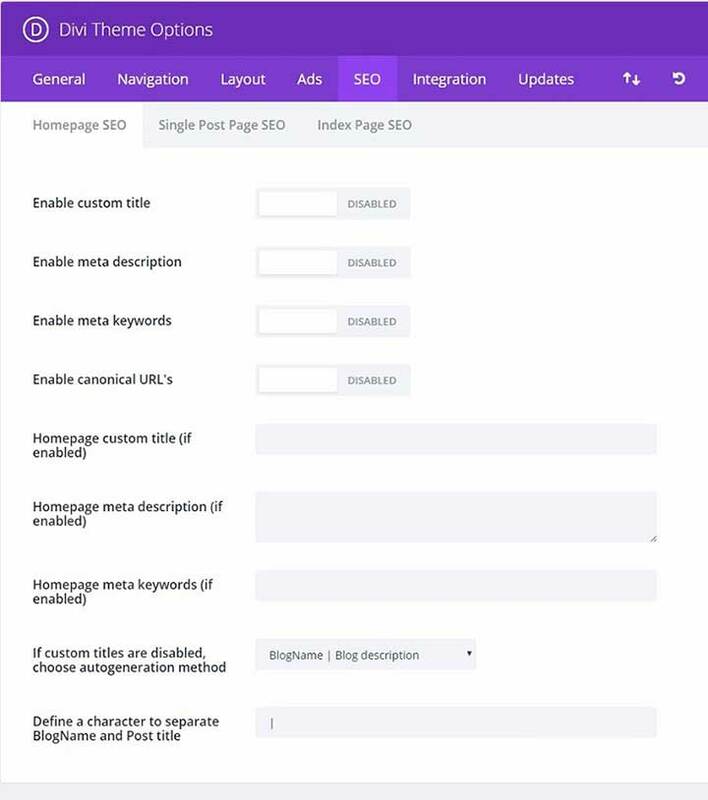 Under this tab, you can select the single page post SEO options. So here you can add the meta descriptions for a particular page and the home page. You can also enable the meta description, meta keywords etc to make your website highly SEO-friendly. The Visual Editor can be used on both your existing posts and the brand new ones. Let us try it out on an old post. So you go to your dashboard and then to the front-end of one of your posts. Now launch the Divi Visual Builder by clicking on the “Enable Visual Builder” on the top of your screen. A new screen will appear with three options. Here I choose to use the existing content so I select the first option. Now you can use it to edit your existing post. When you click on a particular section of your post, you will see some small icons appear on your screen. You can use them to edit your post. Let’s have a better understanding of it by creating a brand new post. Start by simply going to your dashboard and clicking on the Add New Post option. 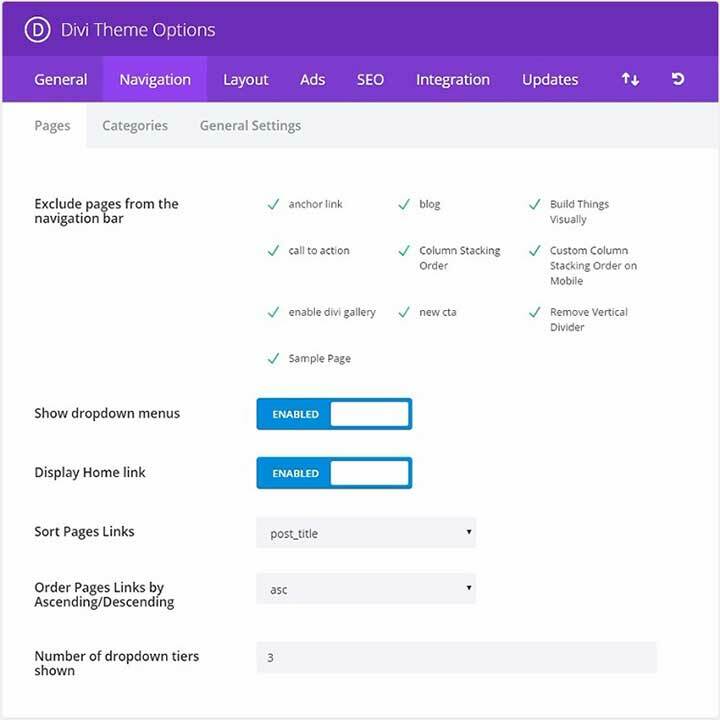 Now select the Use Divi Builder option. You will now be directed to a new screen with 3 different options. Since it is a new document, let’s select the first option that lets you build your post from scratch. Next, you have will have 3 blocks using which you can build your page. Your first section will already be on your page. You can use the “+” button to add a new section. By clicking on the “+” button, you will have a new window pop-up. There you will have a number of options to choose from. This is actually the content type that you want on your page. So depending on your requirement, you can select the option from this list. It can be an audio clip, a call-to-action button, contact forms, dividers, images etc. Here’s a screenshot of the list that will appear on your page. To add text to your page, select the Accordion option. The following will appear on your screen. Now add your text and use the styling options to edit your text. Here’s how you can do it. If you scroll down the screen, you will see other styling options too. You can use them to alter body letter spacing, body height, add a body text shadow even add filters and animations. To add media to your post, you will see a small screen appear on your left. Below you will see your content. Place your cursor at the place you want your media to be inserted. Now click on the Media button (highlighted in the image below). You can now work on the pictures alignment, links etc to your image. To add a link to your image, scroll down the window on your left. You will see an option called Link. Place your URL here. You can then choose the link target which will either open in the same or a different window. Once you are done, save your setting in order not to lose them. You can now see the end result reflect right on to your left. This is how it will appear once your page is published. A great way to skip the extra work is to use a pre-built template for your page. Divi offers tons of them which are ready to be used right away. To access these layouts go to your Dashboard -> Pages -> Add New. Just like in the picture you will see a window pop-up on your screen. On the search box on your left browse to find for your perfect category. Let’s go with Food and Drink. Under this, we have 9 layout packs. We choose one and click on the use layout option. You will now have to authenticate your account detail. Just add your details and click on the Submit button. Once your details are verified, you can start using the layout right away. 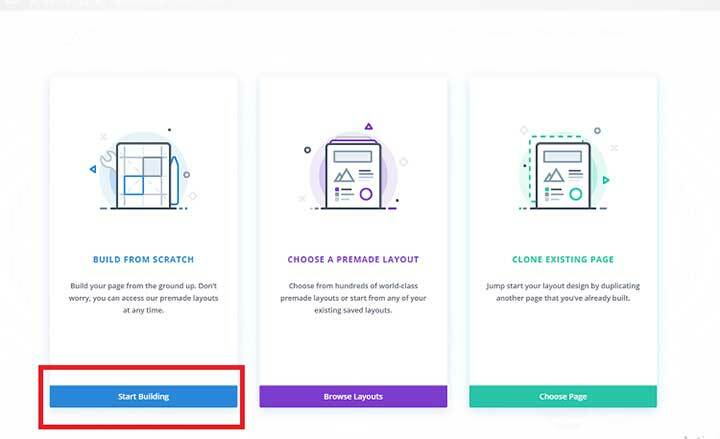 Before you start using the layout, you can also check out the demo to make sure you definitely want to use it on your site. 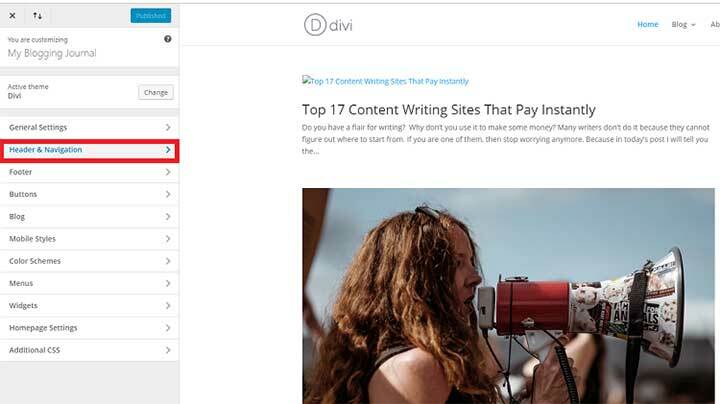 Divi also offers you with the option to clone a page that already exists on your site. 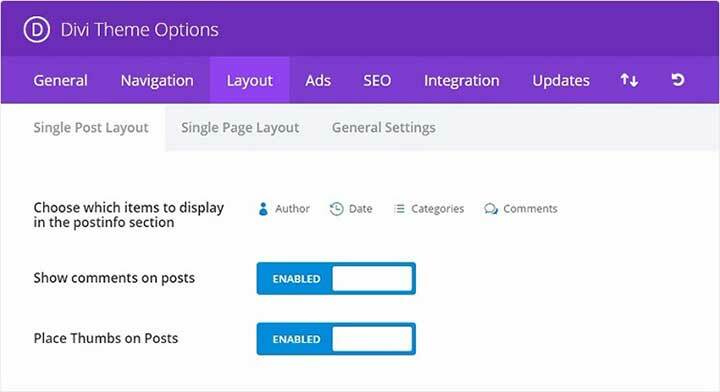 For that after selecting the Add New Post option from your dashboard, select the 3rd option that says “Clone An Existing Page“. Your existing page will now appear in a small window on your screen. You can use the search field to find the exact page you want. Otherwise, choose on that appears on your right. Now click on the page you want to clone. Your existing design will start importing. And a replica will show on your screen. Go ahead and replace the content and the images. For that just click on the texts and delete it to make space for the new content. The images can be done in the exact same method. Follow the steps shown earlier to add your media files. Cloning a page layout saves your time from creating what you have already created. Divi offers several header styles to choose from. Generally, by default, you will always see your logo on the left and your menu on the right. But you can change this alignment. To customize your headers, go to your Dashboard -> Divi -> Theme Customizer. You will see several options here. You can click on each individually for more customization options. Here we will focus on the headers. Click on the Header & Navigation option. You will have a whole list of options you can work upon. Click on the individual buttons to customize your headers to meet your requirements. Divi theme has been extensively documented which makes it easier for you to work with the theme. 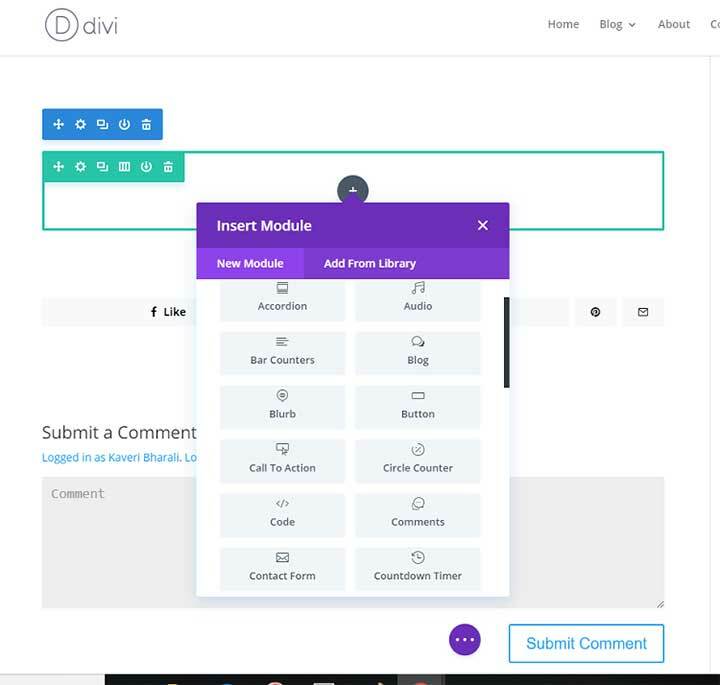 Every time you find a problem, you can get back to it and resume working with Divi on your site. 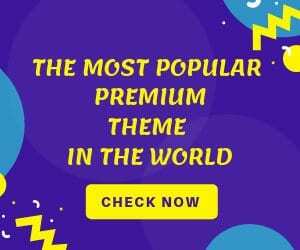 For just $89, you can download this powerful Divi theme along with the entire collection of other themes and plugins from Elegant Themes club and even the themes and plugins it will create in future. To be honest, if you ever use Divi, you might not like it just like a theme. If you go into the visual appeal, Divi will probably get an average vote as compared to many other themes out there. What makes it’s special as a theme is a way it works by coupling with the visual editor. 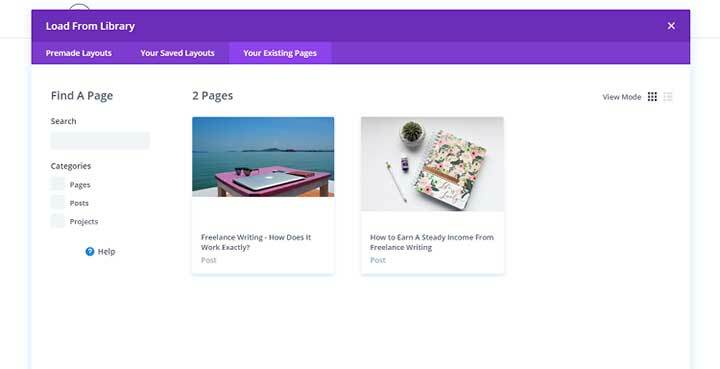 It has been repeatedly told by many Divi theme reviewers that Divi is a fantastic companion if you want to create pages to stun your visitors. And that’s true. As long as you use the theme on your website, it will actively work to replace your shortcodes with the ones that you intend to use to make your site appear impressive. It is probably one of the best WYSIWYG plugins you can ever have.